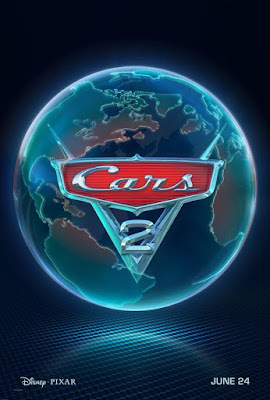 If you don't already know, Cars 2 opens in the US on June 24th, and I'll be attending the world premiere tomorrow, June 18th, in Los Angeles (my first premiere - yay!). I had the honor of being a Directing Animator on this film which meant, among other things, getting to work closely with John Lasseter again. Once the movie opens I'll talk more about my involvement. Until then, I hope you enjoy it! Can't wait for this, and can't wait to see your work. I'll be there opening night! Stoked, man! It's been amazing watching what you've done throughout your career. Looking forward to seeing more! I just saw it and was totally blown away. Great job Victor and the whole Pixar team! Congrats Victor! I saw the film last night here in Australia and was blown away by the detail and the amazing animation. I just wish the candy bar had some pistachio ice-cream as a tie in for the film!